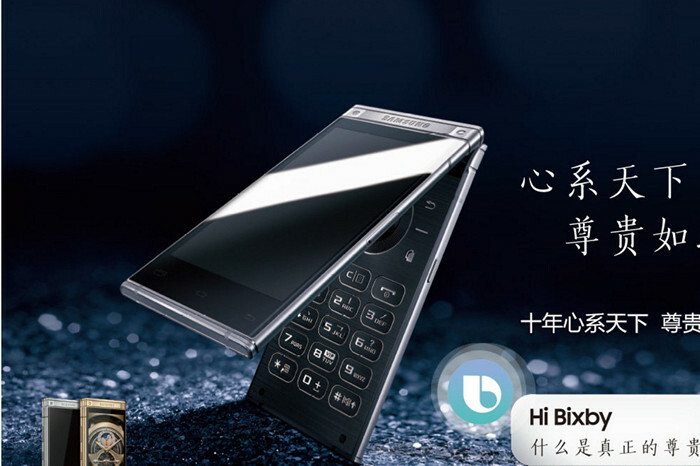 Flip phones might be dead in most parts of the world but China is one country that still embraces flip phones and thus, Samsung keeps launching premium flip phones in the country. Today, the country has unveiled the Samsung W2018 flagship flip phone. Samsung’s “W” line-up of high-end flip phones has its 10th anniversary this year and thus, the W2018 has some sweet additions to it. Firstly, as the title gives away, the Samsung W2018 has a 12 MP camera with the widest aperture ever, of f/1.5. That’s right. Apparently, the 12 MP camera sensor will automatically switch between f/1.5 and f/2.4 apertures depending on the backgrounds. This is interesting, right? And this is something we might end up seeing on the Galaxy S9. The f/1.5 aperture should come in very handy in low light situations. On the front, it has the usual 5 MP camera sensor. The Android Nougat-running smartphone comes with two displays: one 4.2-inch AMOLED display on the front and a 4.2-inch AMOLED display inwards. There’s the alphanumeric keyboard with directional pad to make you nostalgic. The phone also comes with the Bixby button on-board. Primary Camera Dual 13MP Cameras, (f/2.0, 1.12 µm), laser & phase detection autofocus, Carl Zeiss optics, OIS, dual-LED (dual tone) flash. Secondary Camera 13 MP, f/2.0, phase detection autofocus, 1.12 µm pixel size. Sensors Accelerometer, gyroscope, proximity sensor, compass and rear-mounted fingerprint scanner. Surprisingly, the W2018 flagship should be a lot more costly than Samsung’s S8 and Note 8 flagships. While the price hasn’t been announced, its predecessor, the W2017, was priced at $3000, so it’s pretty much a surety that the W2018 will be priced higher than that. Samsung is making attempts to sweeten the deal. Owners of the W2018 will get perks like free concierge service, free tech support and VIP hotline. Also, if you haven’t noticed, the Samsung W2018 is being marketed more as “luxury” smartphone, rather than your usual flagship smartphone. 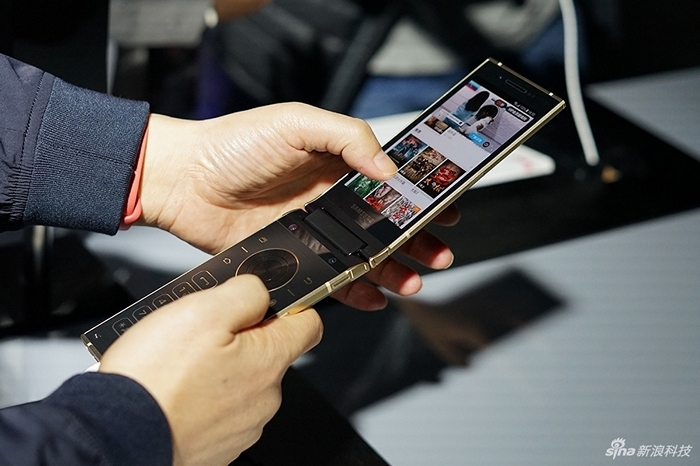 Chances are, the Samsung W2018 won’t ever makes it way out of China but 3,000 dollars for a high-end flip phone is something extraordinary and not positively.